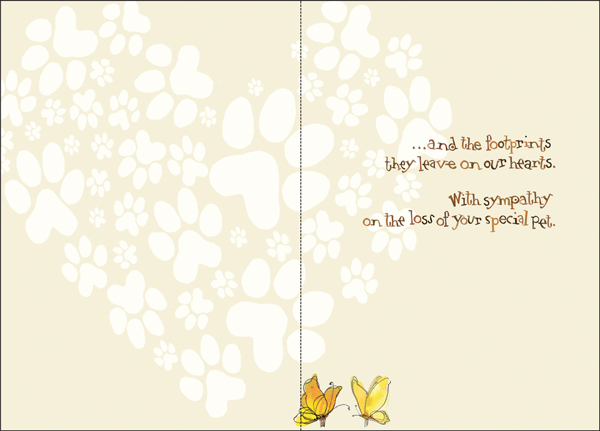 Heartfelt Special Sympathy Pet Cards | it takes two, inc. Send a simple but heartfelt message. These pet sympathy cards will ease the pain of their loss. 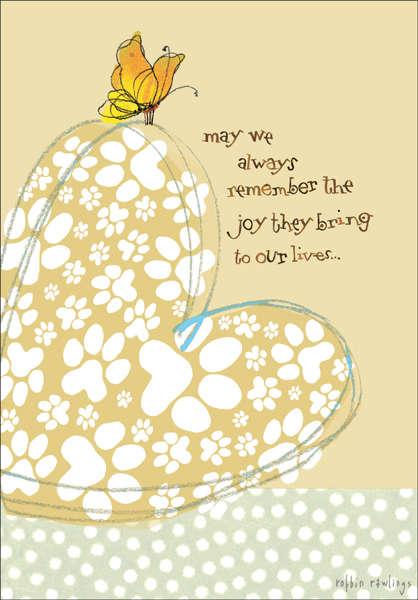 Offer your condolences by sending a card today. and the footprints they leave on our hearts. With sympathy on the loss of your special pet.